• Every 10th successful recharge on PayTm will get 100% Cashback. • Lucky winner gets maximum Cashback of Rs. 100. 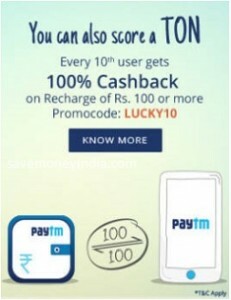 • If you’re Lucky 10th, Cashback will be processed within 24 hours of recharge.